A spinning bookcase from about 1900 is solid oak with mostly quarter sawn grain. The renewed finish is in excellent condition, the base was rebuilt years ago. 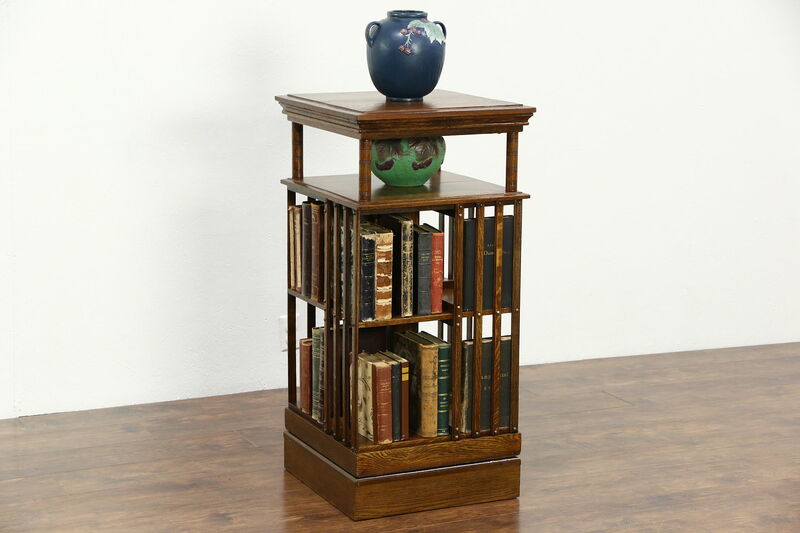 American made antique library furniture, this chairside bookshelf revolves smoothly. Measurements are 20" square and 41" tall.